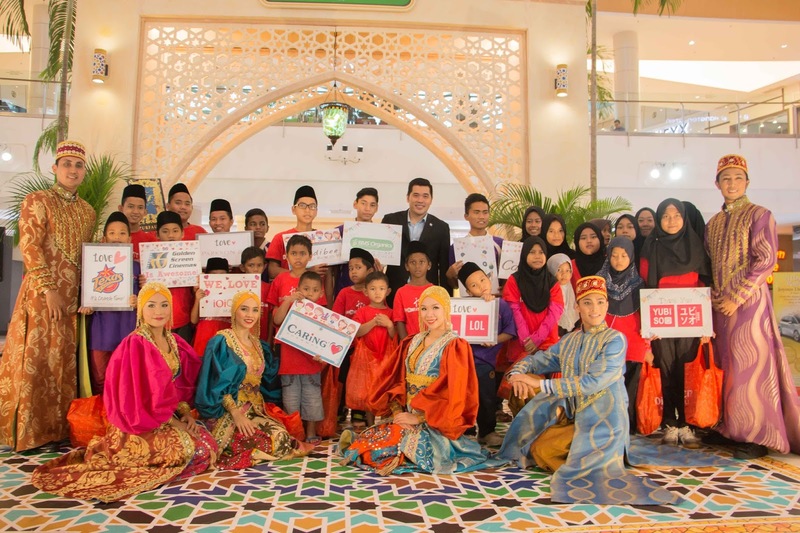 14 June 2016, Putrajaya – In the spirit of Ramadan, IOI City Mall launched its ‘A Mystical Ramadan’ celebration that are set to delight shoppers with a joyous festive celebration inspired by Moroccan mystical touches. Mystical, inspirational, artistic are just a few of the words used to describe the wonders of Morocco, a country immersed with the uniqueness of cultural and landscaping elements. 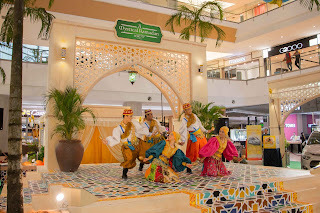 This festive season, IOI City Mall transformed its Ramadan décor to reflect the striking and exquisite representations of Moroccan’s architectural prides. “Morocco is always filled with variety of elements, in which all of these elements are harmoniously blended and balanced to tell an intriguing story. Similarly, at IOI City Mall, our elements of Tastes, Trends and Adventures delivers a fulfilling and inspiring experience among our shoppers. As such, this year, the Moroccan-theme is selected to reflect the symbolic representations of both Morocco and IOI City Mall in delivering endless wonders to the world,” said Chris Chong, Complex General Manager of IOI City Mall. Constructed in the middle of Lower Ground Floor Centre Court of the mall, the Moroccan Square takes pride as the main highlight of the festive décor. Featuring an iconic wooden-handcrafted arch, the Moroccan Square is also surrounded with distinctive and vibrant Moroccan motif patterns, aesthetic appealing palm trees, pedestal fountains and camels display. ‘A Mystical Ramadan’ is set to deliver an unforgettable festive season celebration from now until 10 July 2016. Throughout the festive season, shoppers will be delighted with wide array of merchandises as they shop through the unique marketplace scattered at Lower Ground Centre Court, Lower Ground East Wing, Lower Ground West Wing, Ground Floor East Wing and Ground Floor West Wing of the mall. Ranging from hampers and festive delicacies by Ann’s Bahulu, Rendang Atuk, Siti Cookies and Yin Onn (KL), to traditional costumes, clothing and accessories by Airaz, Alain Delon, Alharaman, EMZN, Fareeda, Galazy Dream, John Master, Lovely Lace, Lovely Lace Baby, Orlando, T&E, TimeKeeper, Tucz, and Zurfauzie Classic, to fragrances by Gucci and Ralph Lauren, to craft items by Karyaneka, to carpets by Pak Persian Collection and books by BORDERS, all offerings are set to complete shoppers festive shopping experience this season. In addition to the marketplace, the mall is also extending its business hours until 11pm from 24 June to 3 July 2016. “We understand that there is just so much to prepare for the festive season, so we are extending our business hours, allowing shoppers to shop in convenience,” Chris commented. 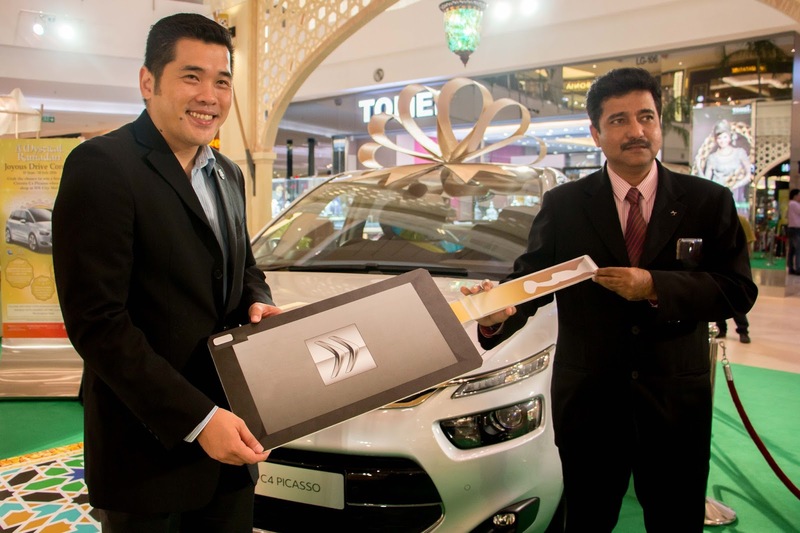 In partnership with HSBC, throughout the festive period, shoppers will be rewarded for shopping at IOI City Mall. With a minimum spend of RM150 (RM80 for HSBC Cardmember) in a single receipt, shoppers will receive a set of Raya green packets. Additionally, for spending of RM350 (RM250 for HSBC Cardmember) in a single receipt, shoppers can redeem either 3 sets of Raya green packets or an exclusive porcelain tableware. Redemptions are available at Ground Floor Information Counter, while stocks last and must be made on the same day of purchase. The redemptions however are not valid for transactions made at GSC, HomePro, Index Living Mall, Parkson, Tesco, Icescape, Currency Exchangers and any forms of bill payments. Sponsored by Citroën, the mall is also running the ‘Joyous Drive Contest’, where shoppers who spend a minimum of RM350 in a single receipt will stand a chance to win a brand new Citroën C4 Picasso. This contest is however not valid with transactions made at GSC, HomePro, Index Living Mall, Parkson, Tesco, Icescape, Currency Exchangers and any forms of bill payment. Shoppers are required to fill up and submit the contest form at Ground Floor Information Counter. Live draw and winner will be announced on 31 July 2016 (Sunday), where qualified attendees will be rewarded with F&B vouchers to dine at the stunning waterfront and al-fresco unique dining concept of The Symphony Walk, located at the ground floor of the mall. Overlooking the golf course and lush greenery, The Symphony Walk promises a refreshing dining experience as it also features dancing musical fountains and dazzling lights from Mondays to Thursday at 7.20pm, 8.00pm, 8.30pm, 9.00pm and 9.30pm, whereas from Fridays to Sundays, it plays at 7.20pm, 8.00pm, 8.30pm, 9.30pm and 10.00pm respectively. Whether during daytime or night-time, The Symphony Walk delivers more than just a dining experience to its patrons. 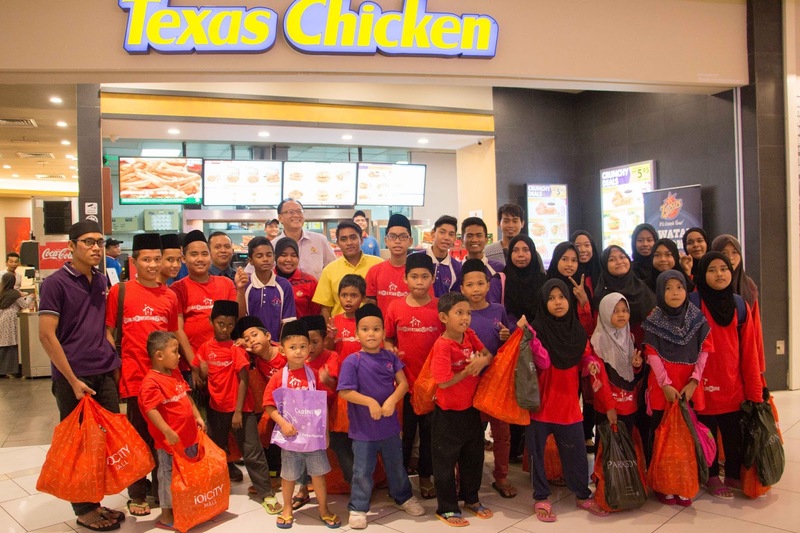 The month-long campaign will also constantly dazzle patrons with various festive performances and fun-filled activities during the Public Holidays and weekends. 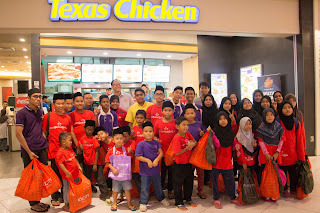 “At IOI City Mall, we always emphasize on an environment that caters for all ages. 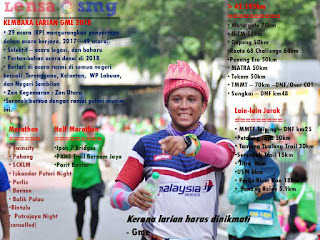 This festive, come and celebrate with us as we bring upon exciting line-ups, such as Moroccan Dance, Riang Raya Dance Show, Arabic Dance, Traditional Malay Dance & Joget Lambak, Belly Dance, on-ground activities by Gymboree, batik and ceramic painting workshops,” Chris commented. All activities will be conducted on every weekends and Public Holidays at the Moroccan Square, Lower Ground Centre Court. 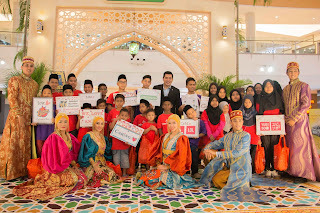 For more information about IOI City Mall and latest promotions, visit http://www.ioicitymall.com.my/ and https://www.facebook.com/IOICityMallPutrajaya/ .